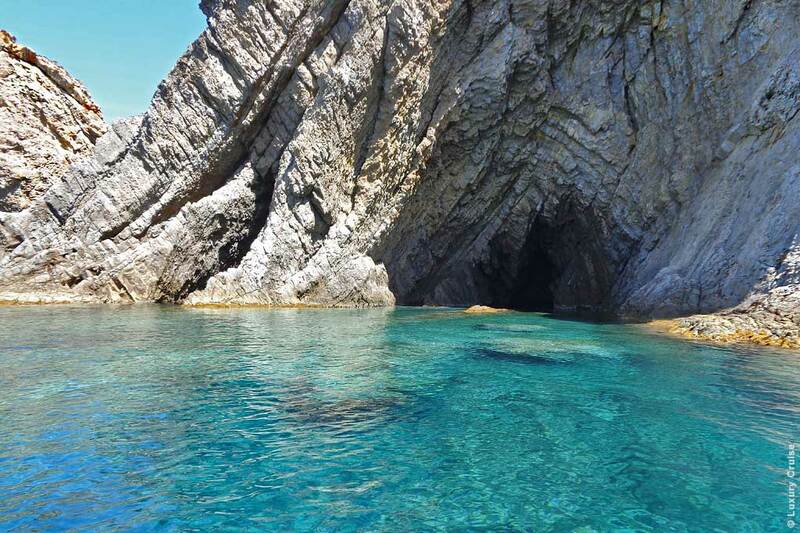 To its international customers Luxury Tour proposes one of the most fascinating itineraries the Mediterranean sea can offer: the extraordinary “Pontine Archipelago”. 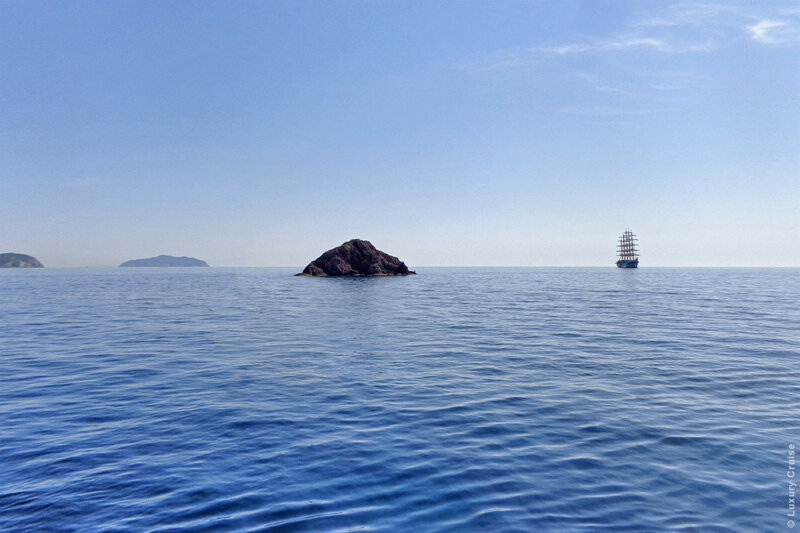 The island group is situated in the Central Tyrrhenian Sea, 25 nautical miles off the coast lying between Rome and Naples. 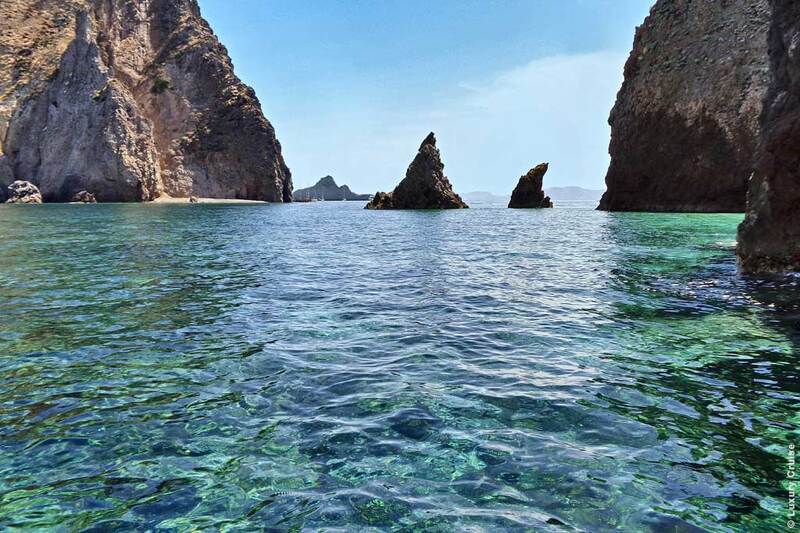 The archipelago occupies a 12 square kilometer area and is composed of five islands: Ponza, Ventotene, Palmarola, Santo Stefano and Zannone. Each of them represents a real jewel of Mediterranean landscape. 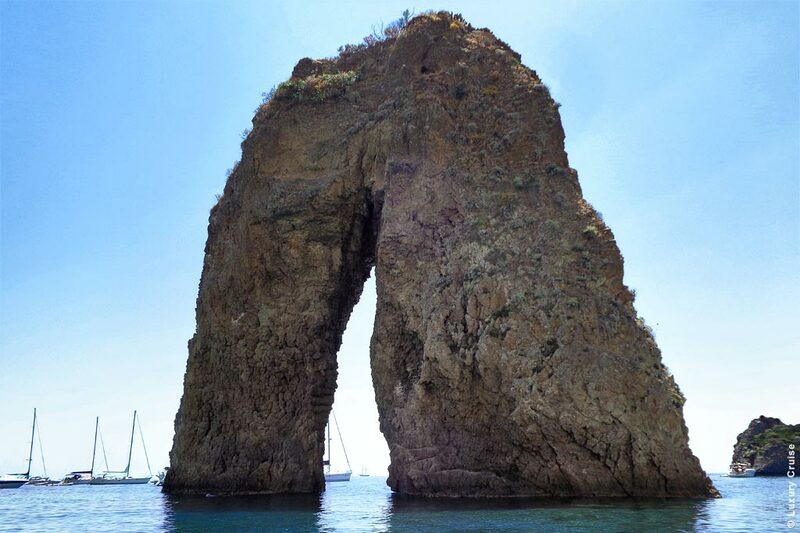 Here nature offers a spectacular coast dotted with rocky and sandy beaches, natural arches, white cliffs and a multitude of caves to explore either swimming or more comfortably standing aboard a dingy or watercraft. 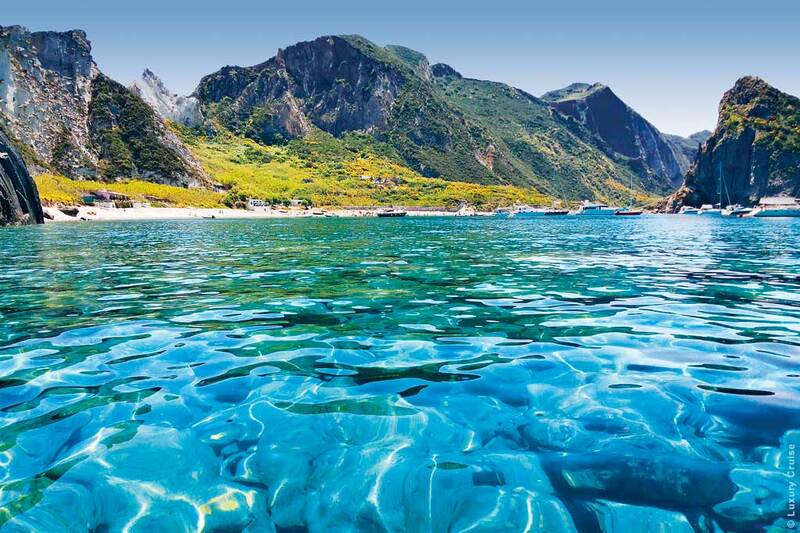 For its breathtaking landscapes, the transparency of its sea water, the turquoise and emerald nuances of its seabed, Palmarola was defined by Jacques Cousteau one of the most beautiful island in the world. Indeed on calm sea days the water is so incredibly clear and pure that gives you the feeling of being suspended on the void. 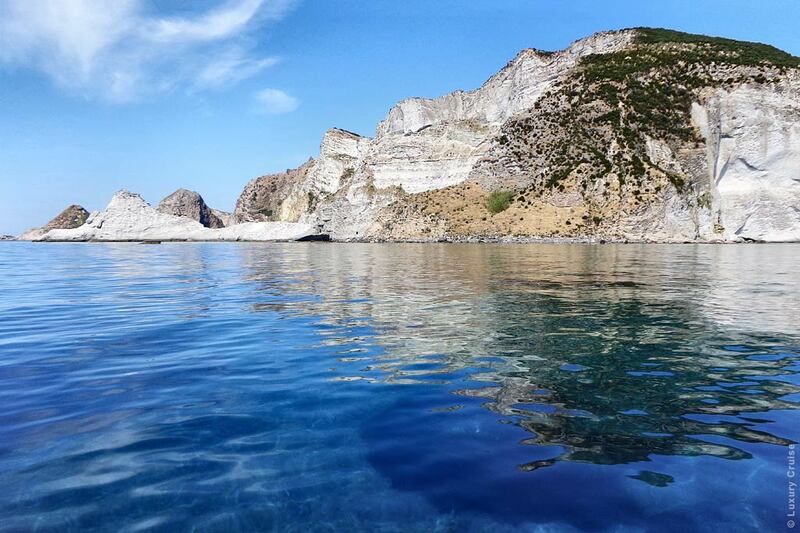 Moreover the ancient treasures that its seabed preserves, the ancient relics of Roman boats and World War II ships, the sea water rich in white moths, gorgonians, sea spirographs and posidonia meadows make Pontine islands a veritable paradise for scuba divers. It is the largest island of the archipelago. Eight square kilometers wide, surrounded by unpolluted water, the island offers landscapes of stunning beauty. 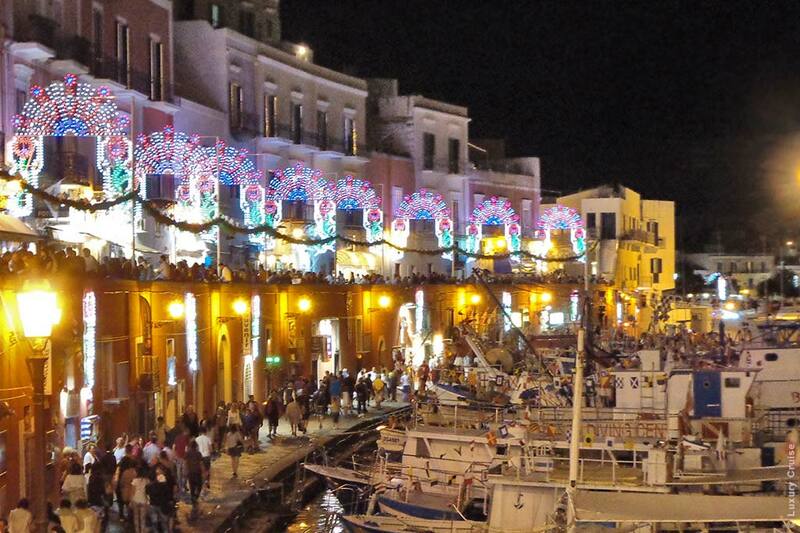 The little town centre surrounds the port like an amphitheater enchanting the visitor’s eye with its narrow lanes, craft stores and small colourful houses. 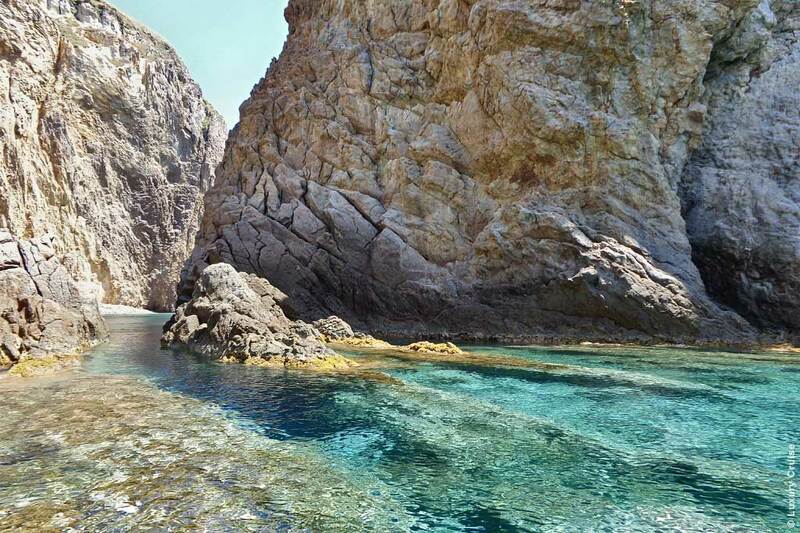 Otherwise it is also possible to moor in one of the lovely, little bays, the shore offers, to have a relaxing pause before moving to explore other romantic, enchanting corners of the coastline. 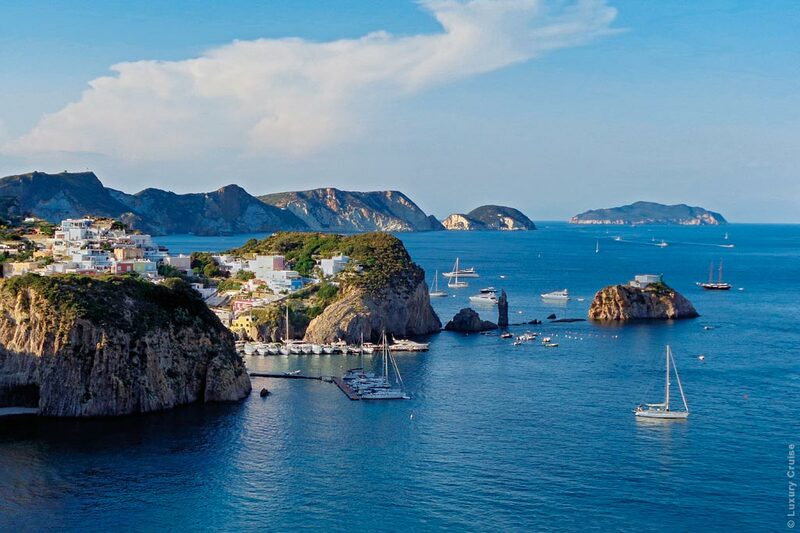 Despite the rocky nature of its coast, Ponza offers his visitors an extremely varied landscape. There it is also possible to find beautiful sandy beaches, some of them supplied with beach facilities (parasols, deckchairs, loungers). 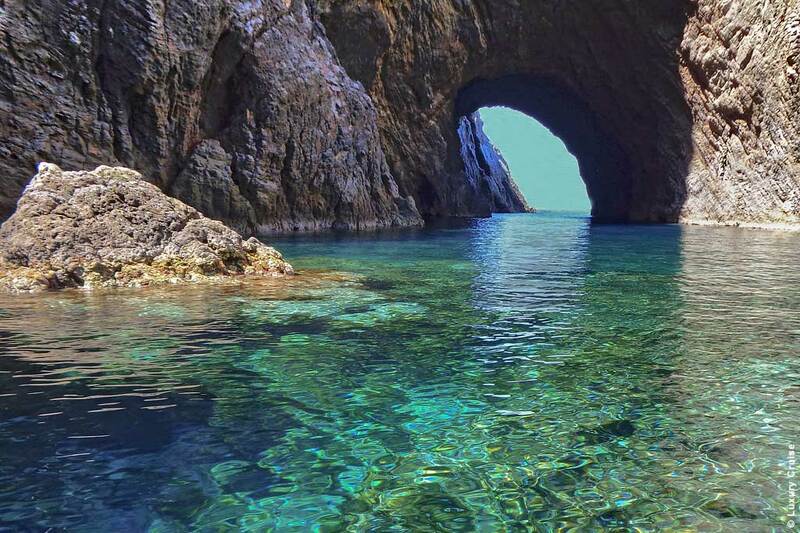 The famous bay of “Chiaia di Luna” with its Roman tunnel, the white cliffs of “Lucia Rosa” beach and its wonderful sunsets, the natural pools of “Cala Feola”, the fantastic view of “Capo Bianco” promontory as well as other picturesque island’s locations make Ponza a place definitely worth visiting. 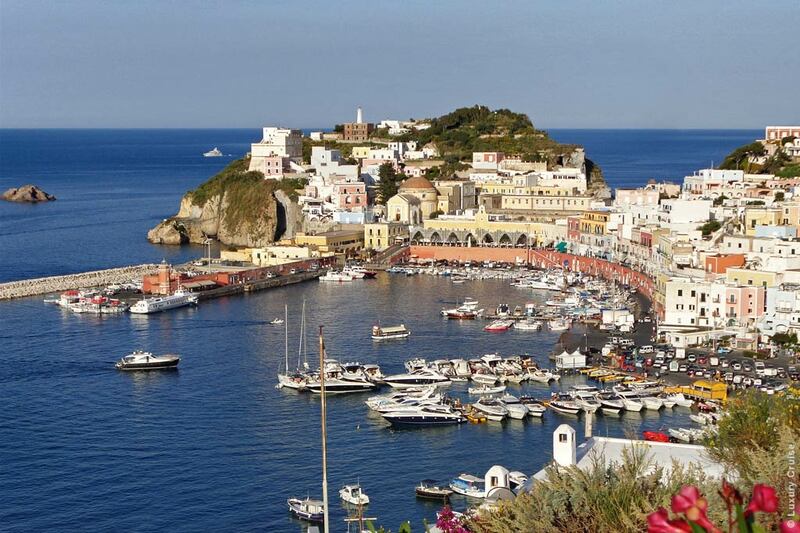 The island’s charm and beauty persuaded the Roman emperor August to establish his summer home here almost 2.000 years ago. The remains of August’s villa are still visible on the area colled “Punta Eolo”. 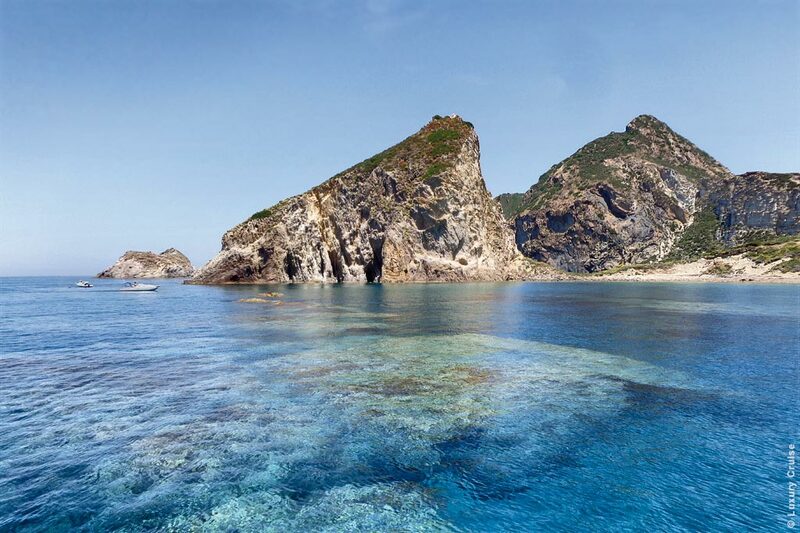 The island, also called “the pearl of the Tyrrhenin sea”, is the smallest, inhabited island of Pontine Archipelago with an area of 1.237 square kilometres. Today it is still possible to admire the ancient, massive bollards the Romans used to moor their boats. 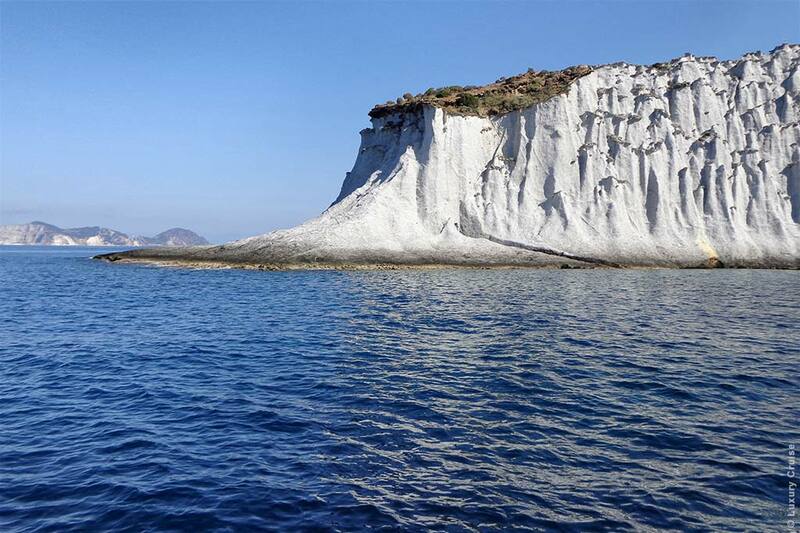 In order to preserve the island rich flora and fauna as well as its untouched, wild nature, the Natural Public Reserve of Ventotene and Santo Stefano islands was established in 1997. The island is particularly interesting for the richness of its bottoms. 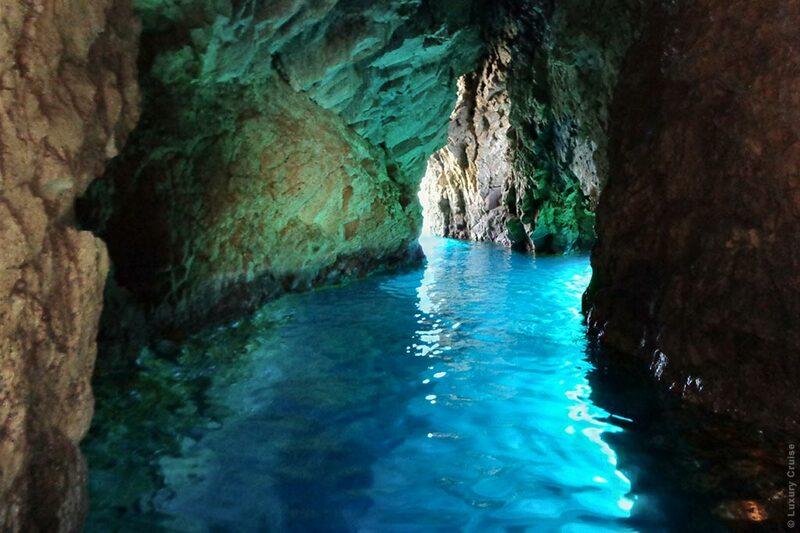 For this reason it is the preferred destination of divers coming from all over Italy. 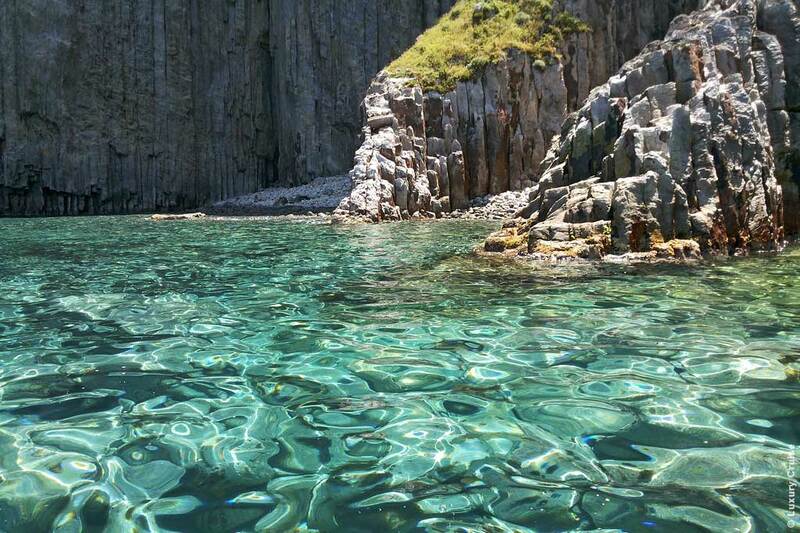 Ventotene is surrounded by crystal, pure waters breaking on its shores and on the tuff walls of its cliffs beautifully smoothed by the wind. Although the coast is characterized by small coves which are accessible only by sea, there are also three large beaches accessible by land. 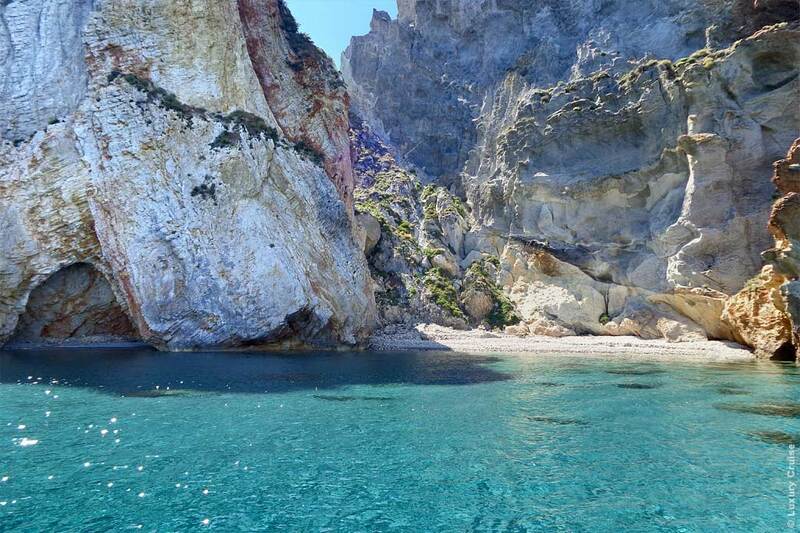 Among them there is the beautiful “Cala Nave” where it is still possible to see the old pools the Romans carved into tuff to breed fish. 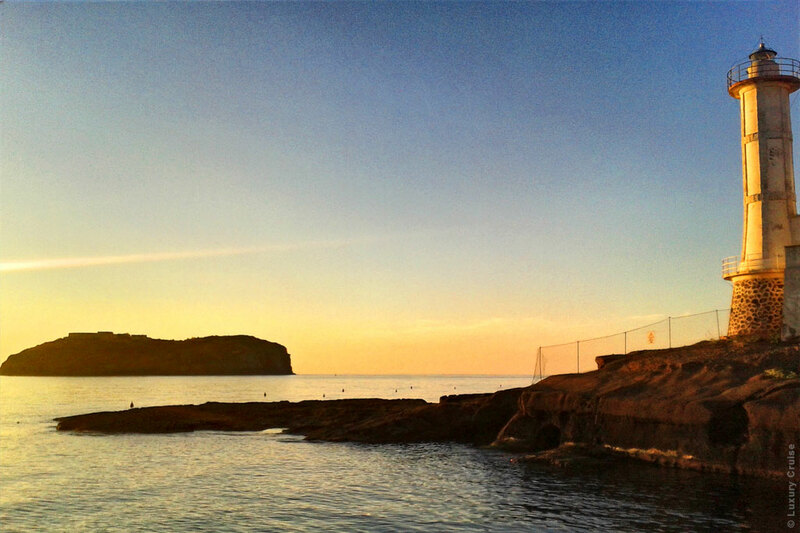 “Cala Nave” is supplied with beach facilities. The island measures less than 500 metres in diameter with an area of about 27 hectares. The high cliffs of its coast have always made landing difficult. There are only four places where landing is possible depending on the wind. 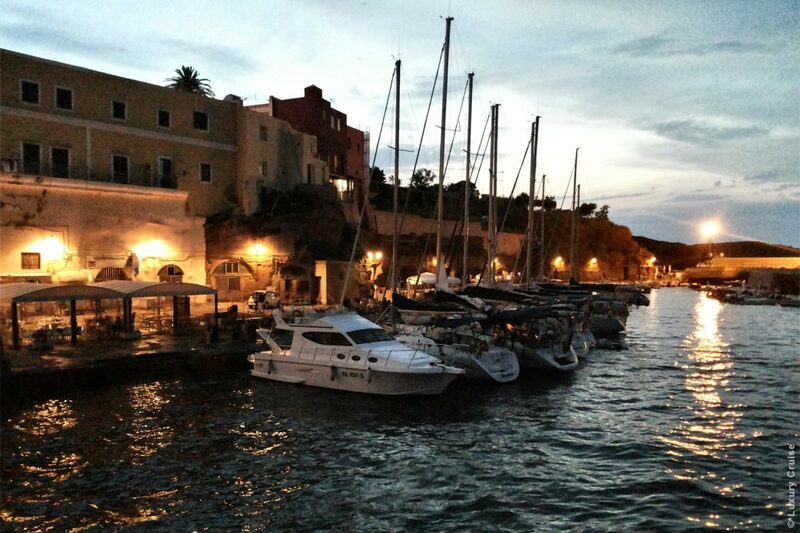 Located about one nautical mile east from Ventotene, currently the island is uninhabited, though it is still accessible to summer tourists by local boats departing from Ventotene ancient port. On the island there is only one building, an old, prison built during the Bourbon period, around 1794. The structure, which reflects the architectural style of the San Carlo theatre in Naples, was used as a prison till 1965. Nowadays it is visitable and an interesting guided tour of its premises is included in our travel schedule. 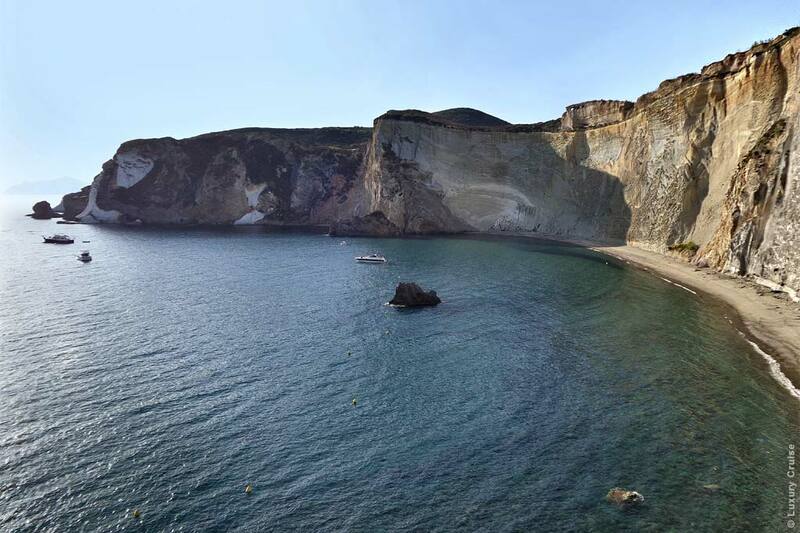 Located 6 nautical miles north from Ponza, nowadays it is an uninhabited island. 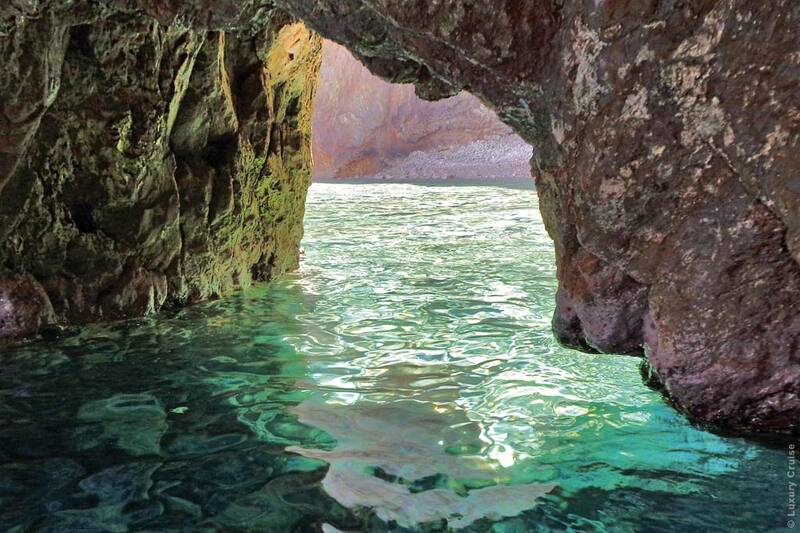 Its beauty is so astonishing that it was defined by Jacques Cousteau one of the most beautiful island in the world. Indeed on calm sea days the water is so incredibly clear and pure that gives you the feeling of being suspended on the void. It is a veritable paradise for activities such as diving and snorkeling. On the island an interesting attraction is represented by the fishermen’s houses excavated into the rock. 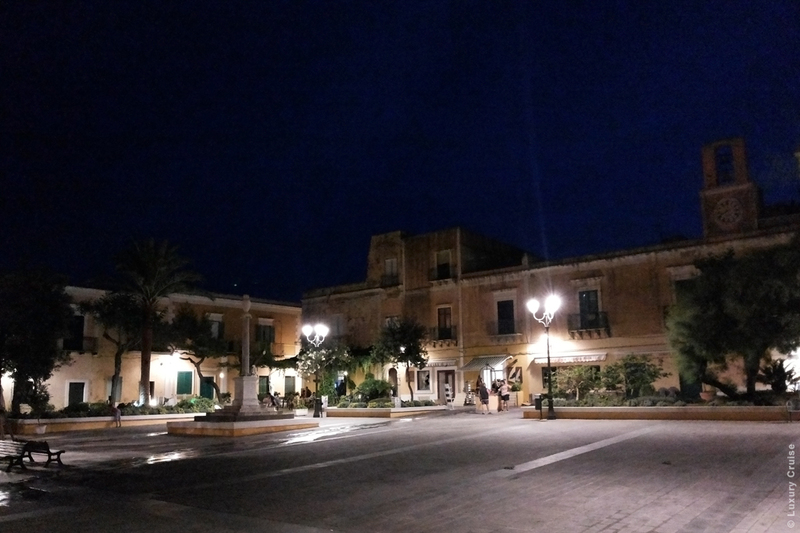 One of the island’s wonders is “La Cattedrale”. It is a formation of high rocks and beautiful caves artistically shaped and sculpured by the wind and water action. The name of the place, “The Cathedral” in English, derives from the fact that its aisles remind us of a majestic Gothic cathedral. 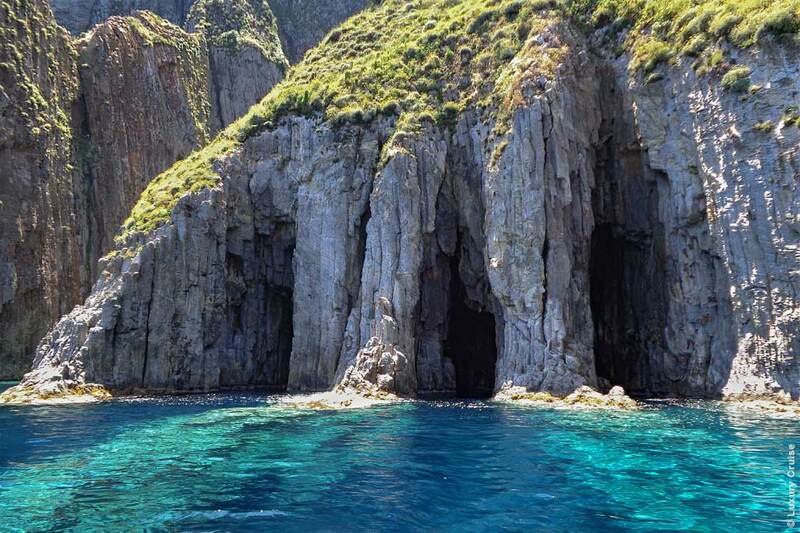 The island is located 3 nautical miles north-east from Ponza and until a few years ago the island’s owner was a marquis belonging to one of the most aristocratic families in Milan. 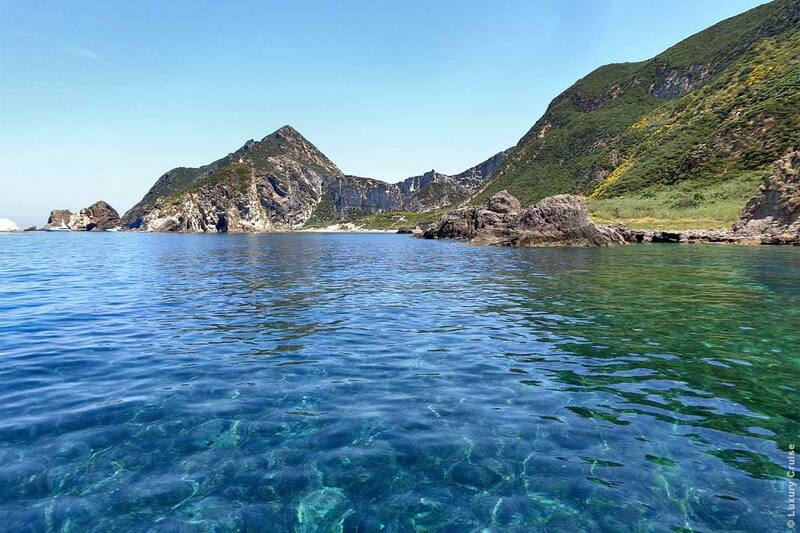 Since 1979 it has been included in the Protected Areas of Circeo National Park because of its naturalistic relevance. 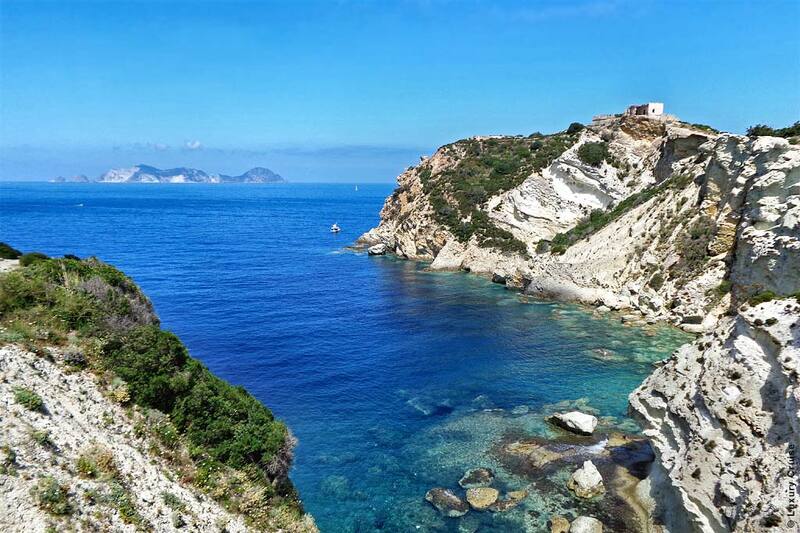 The island was the site of a monastery whose ruins are easily reachable on foot through a panoramic stone path offering breathtaking views of the nearby islands of Ponza and Palmarola and, in condition of good visibility, the Lazio coastline.